If you have a 2011 MacBook Pro and are experiencing WiFi-connection issues, the antenna cables might be broken due to repeated opening and closing of the lid. Mine’s a A1286, but I guess other models have the same issue. 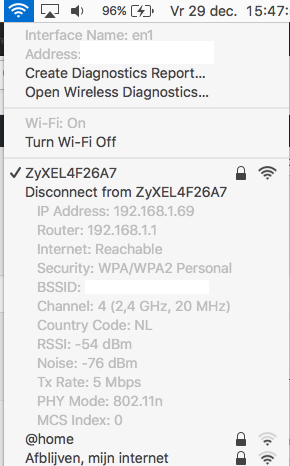 Irritatingly, macOS shows “5 bars” of signal when in fact it’s getting none. After doing some research, I found I wasn’t the only one with this problem. Before replacing, both “RSSI” (signal strength) and “Noise” both were at -80dBm. 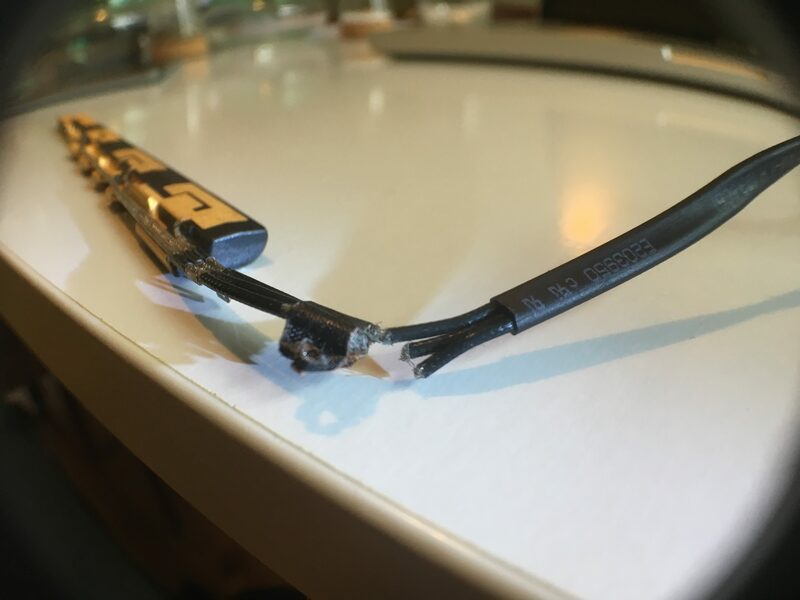 Here is the cable, you can clearly see the severed connections. This could have easily been spotted in a durability-test of the hinge; maybe this only happens when the cables are twisted some way. Come to think of it, Apple replaced my screen once due to glitches. Could be that the display cable had the same issue?